My Father’s Eyes has won a 2015 Barbara Jordan Media Award for writing that positively depicts people with disabilities. The awards are sponsored by the Texas Governor’s Committee on People With Disabilities. If you’d like a signed copy of the book, you can order it here. It is also available on Amazon. One in five people in the U.S. suffers from some form of disability. Often, they are pushed aside or ignored due to the false perception that they are unable to contribute. But such is not the case, as Sheila Allee found when she met her Uncle Melrose, who had a profound intellectual disability and lived in an institution. You would think that the one place in the world where people with disabilities would be welcomed and accepted would be the church. Sad to say, with a few exceptions, it’s not the case. That being said, I was happy to read an article in the Orlando Sentinel about several Florida churches that are making a concerted effort to be more inclusive. The focus in the article is not on architectural barriers in church buildings, but rather on attitudinal walls that separate those who have disabilities and those who don’t. As one person put it, it’s not the stairs, it’s the stares. I can’t imagine what life would be like if I was the object of stares or if people gave me a wide path because I had a disability that made me look or act differently. I suppose it’s understandable to some extent, but it shouldn’t be in a church setting. Speaking as a church member and a Christian, it’s incumbent upon me to be more aware and more open to all people. The article mentions “disability theology,” which is a new term for me. It essentially means that people who have disabilities are created by God and they have special gifts to offer others. Disability theologians contend that people with disabilities don’t need to be fixed. They just need to be accepted and welcomed. I certainly found that to be true with my Uncle Melrose, who had a severe intellectual disability but an incredible capacity for love. I discovered that by welcoming him into my life, it was a win-win for both of us. I’m also happy to report that my uncle loved to go to church and he did so every chance he got. I hope he got the love and acceptance he deserved on those long ago Sunday mornings. 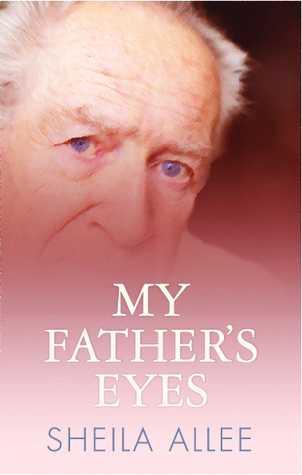 My father is more than a title figure in my new book My Father’s Eyes. He plays an integral role in the story of the friendship I had with his younger brother Melrose. My dad, whose name was Doug, was much like other Dads in the 1950s and 1960s. He was quiet and didn’t share his innermost feelings. He showed his love for his children by working very hard at his job, making sure we had our physical needs met and insisting that we go to college. He was much like the father described by Tom Palaima in a Father’s Day essay that appeared in the Austin American-Statesman. Like my dad, Palaima’s father grew up in the Depression and served in World War II. “Our fathers worked hard at jobs we knew little about. They kept to themselves their fears, troubles, doubts and emotions, positive and negative. They rarely talked to us about their views on life, their hopes, dreams, successes and failures,” Palaima writes. I was amazed that Palaima’s parents, like mine, had a baby who died at birth and then never talked about the loss. Both he and I discovered the existence of a sibling when we visited the family burial plots. I wonder how many other folks in the Baby Boom generation have siblings who died and were never mentioned again. I’m guessing there are a lot of them. Our fathers were shaped and molded through the hardships they endured as children and later as soldiers. And in my dad’s case, he was also deeply affected by the fact that his brother Melrose was profoundly intellectually disabled. In the 1920s and 1930s, when the brothers were growing up, there were almost no services or resources of any kind to help Dad’s family. And since my grandmother had five children, much of the caretaking of Melrose fell to my Dad, who was the oldest. Dad helped Melrose eat and get dressed, he took his brother to get milkshakes on hot summer afternoons, he defended his brother from the neighborhood bullies and made sure he was included in all the vacant lot baseball games. Dad loved his brother so much and had such a strong sense of duty that he was devastated when his parents decided to send Melrose to live in an institution. So my thanks to Tom Palaima for writing about his quiet, reserved, hard-working father and how his dad was shaped by the times he lived in. His column reminded me of Doug Allee, who was a good man and a hero who never got much recognition. Happy Father’s Day, Dad. Hope you and Melrose are drinking milkshakes right now.